This price also includes the best Spanish teachers in Panama. 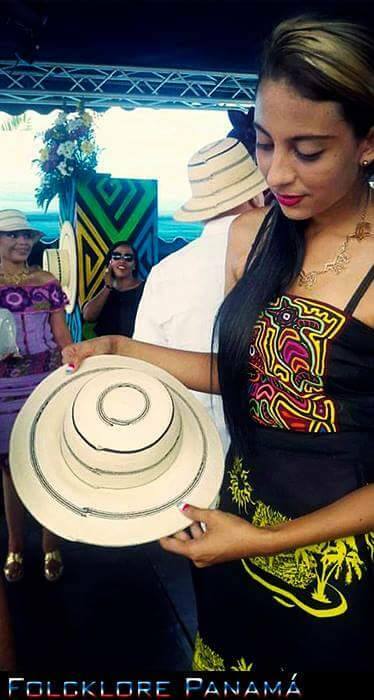 And students thoroughly enjoy the complimentary bottomless coffee or tea breaks in the SpanishPanama social-terrace area. The terrace view over-looks the life of the local people right on Via Argentina’s best intersection below Cabeza Einstein. We encourage that your best efforts are made to have as much Spanish conversation as possible with the other teachers and students during your 10 minute break times. Most of them have more than 10 years of Spanish teaching experience and university degrees in order to enrich your Spanish learning “1 on 1”. 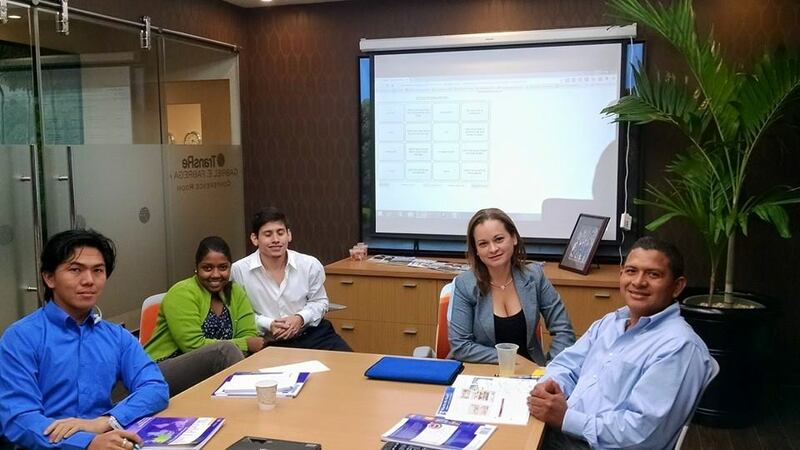 Spanish classrooms have A/C, wireless, modern, social terrace with complimentary café, and are within easy walking distance of Panama’s best hotels and restaurants. 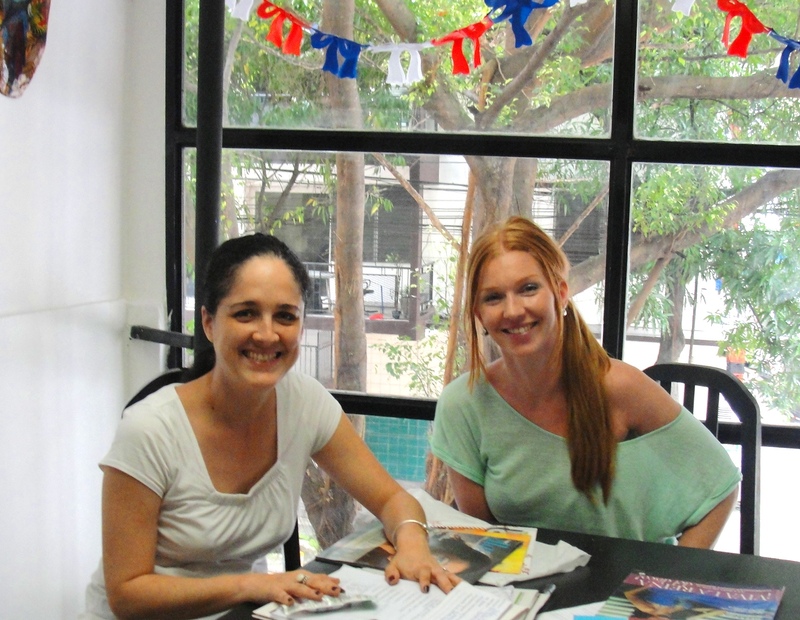 “1 to 1” Spanish Course in Panama City, Panama – very private & very personalized Spanish private classes. 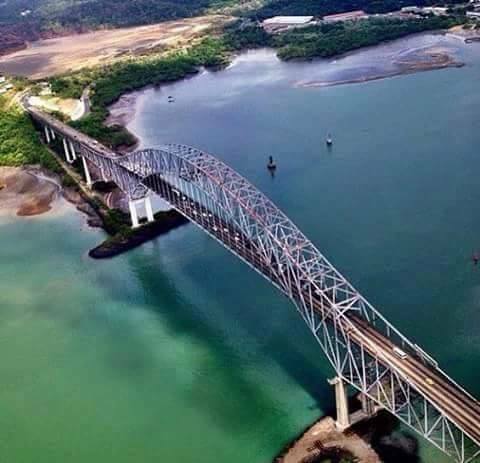 Great administration and organization leads you to a 24 hour cancellation policy, and the best quality teacher that fits your own Spanish learning needs and goals in Panama. 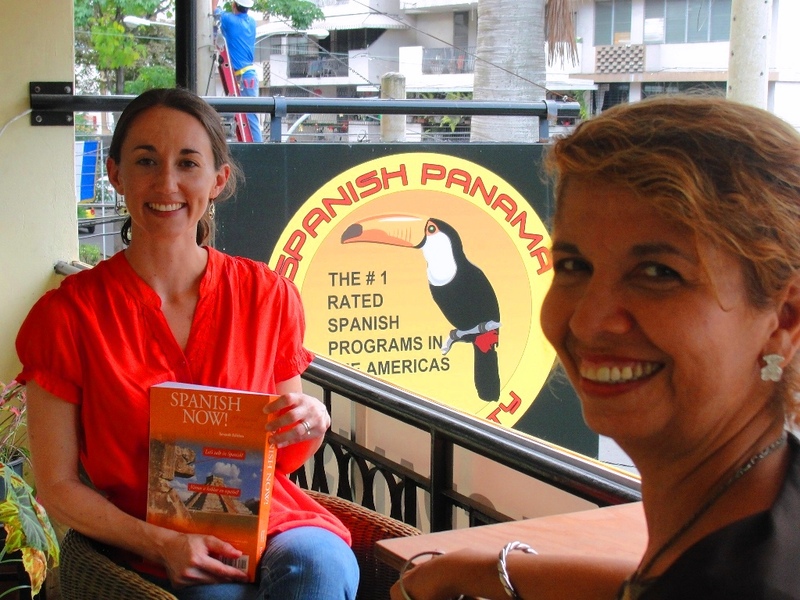 SpanishPanama offers a great “one to one” Spanish program – 50 hours of ONE-ON-ONE for beginner, intermediate, or advanced Spanish levels. 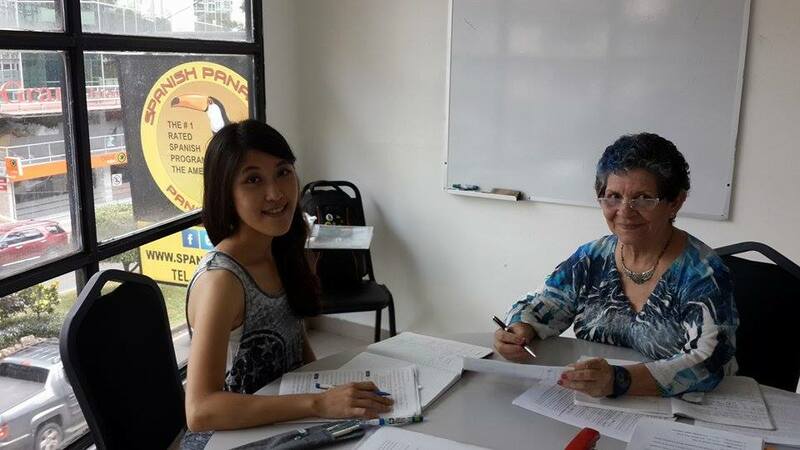 These private customized Spanish classes can be held when and where you want in Panama City, for the time period you like, e.g. 2 months, 3 months, 6 months, etc. This is a great way to learn Spanish at your own rhythm, according to your busy schedule. If you have to travel on business or just touring for a few days or a week or even a few months you will not lose your Private Spanish Classes. In this Spanish course there is a 2 hour maximum number of hours that can be taken each day. Upon the start of your first Spanish class in this 50 hour program you have up to one year to use your classes before it expires. Or just drop by the school on Via Argentina in El Cangrejo Monday to Saturday. We do have Spanish courses at night but it’s best to arrive before 4:30pm on weekdays and before 12:00pm on Saturdays for registration. If you happen to be staying at one of Panama’s best hotels it is very likely that we are only a few minutes walk away from you so just ask your hotel receptionist to point the way. We are very close to Hotel SABA, Grand International, Novatel, Hotel Principe, Autograph, Veneton, Torres de Alba, Hotel Las Vegas, Milan, Parador, Hotel Panama, Marriot, and so many more! Private Spanish Classes : Photo in our “City classroom” with Profesora Danae and her Polish student, Anya, and a night-time view of the Cabeza Einstein – Via Argentina neighborhood. Note: It is only this 50 HOUR Super Flex “1 to 1” Spanish program that you may change your schedule or cancel a class with a minumum 24 hour notice without being charged. In order not to be charged for a class you must email us, as well as phone our office (leaving a message if we do not pick up). Come in for your private Spanish evaluation before you begin. You can also pay the deposit and do the Spanish test from our homepage. 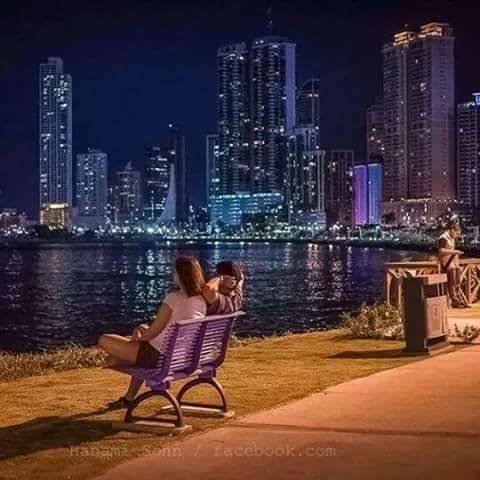 As well as being the major hotel and casino zone in Panama, this is also the best neighbourhood in the country, so you may want to arrive early or stay later and visit the neighbourhood’s numerous coffee shops, restaurants, theatres, cines, pubs, parks, nightlife, etc. Complimentary bottomless-coffee or tea is available at the Spanish Panama social terrace area over-looking the Via Argentina. 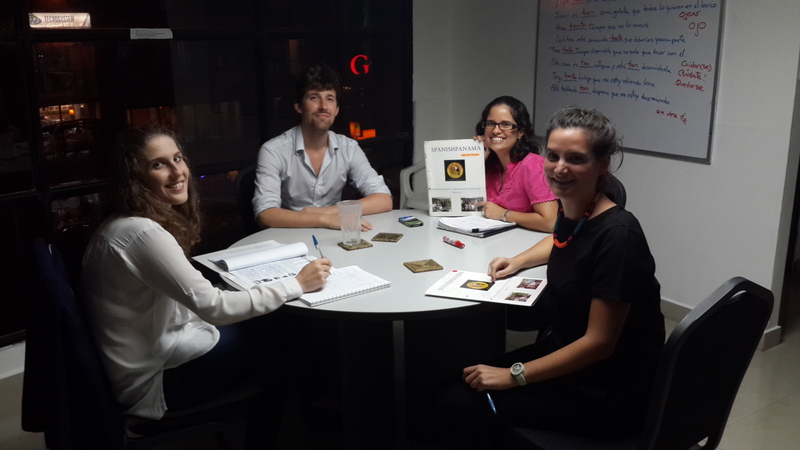 This is a great place to meet other expats learning Spanish like yourself. 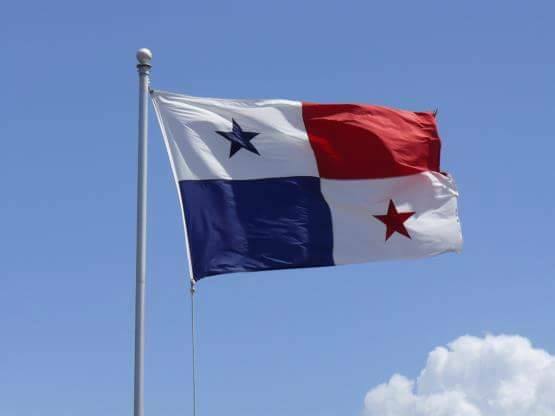 Learn Spanish in Panama City and increase your chances for social as well as financial success.